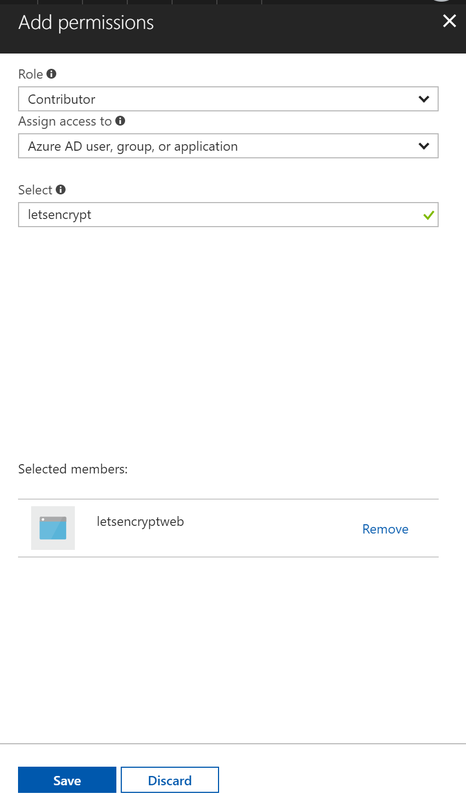 We will use the let’s encrypt site extension for our web app and we need to allow this extension to access and write some information to our web app. The site extension will request a certificate, store it and configure it. To achieve that, the extension needs access to some resources. 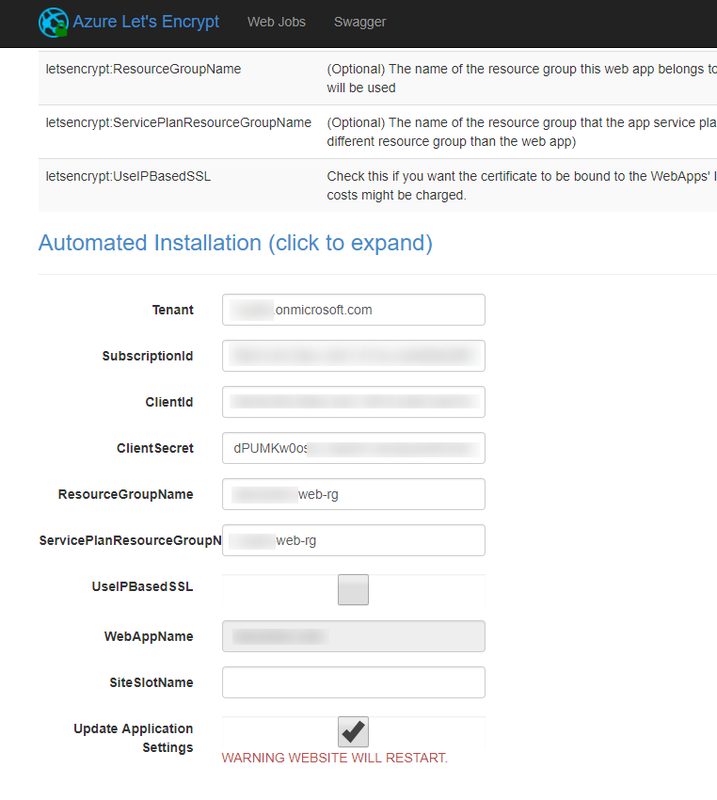 So, let’s register a new app to our active directory and give it the correct permissions. 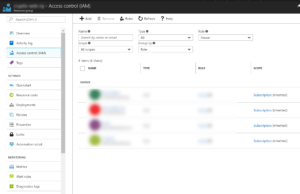 That’s it – the basic active directory configuration is done, so let’s continue with the site extension. 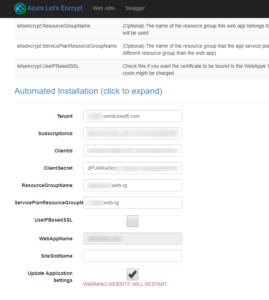 Open your web app and navigate to the extensions. If you haven’t yet used it, have a look on it. 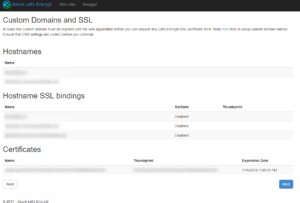 There are many nice extensions that you could easily install e.g. 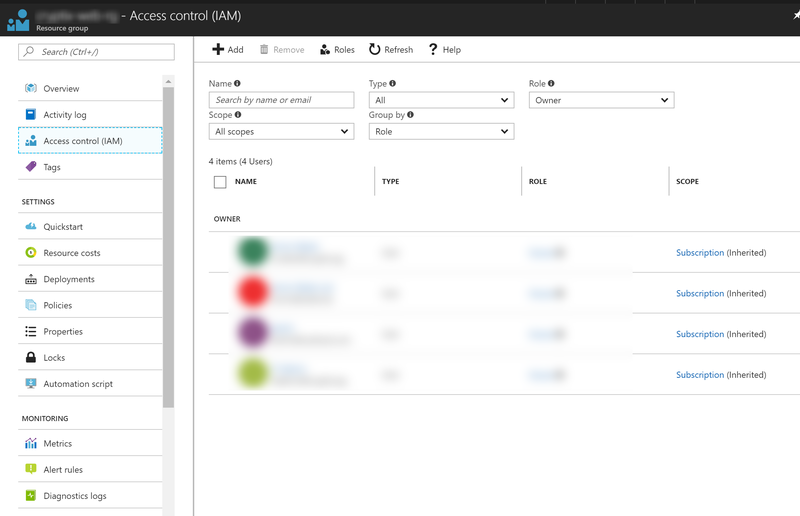 phpMyAdmin which is useful if you have a wordpress page with InApp database (as test environment). 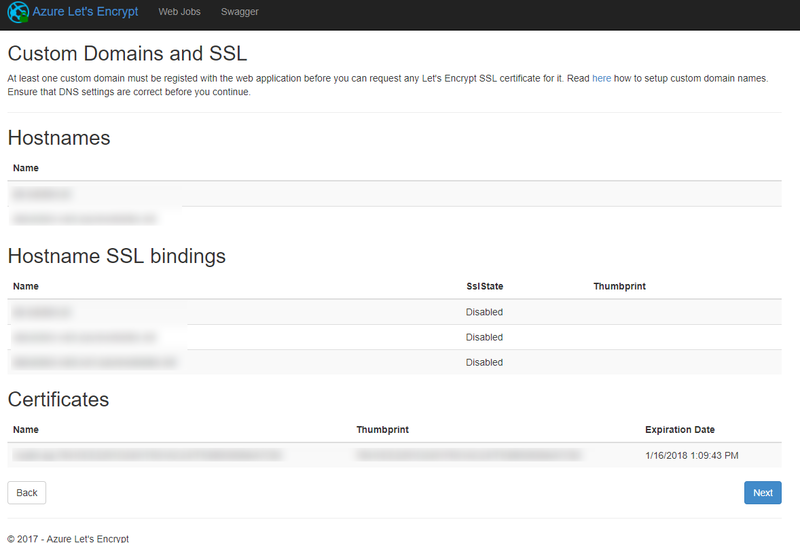 You should now see your hostname in the certificates section and it should be possible to access your site via https. 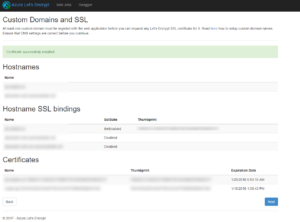 If you have subdomains, then repeat the previous step or select all hostnames in the previous step. 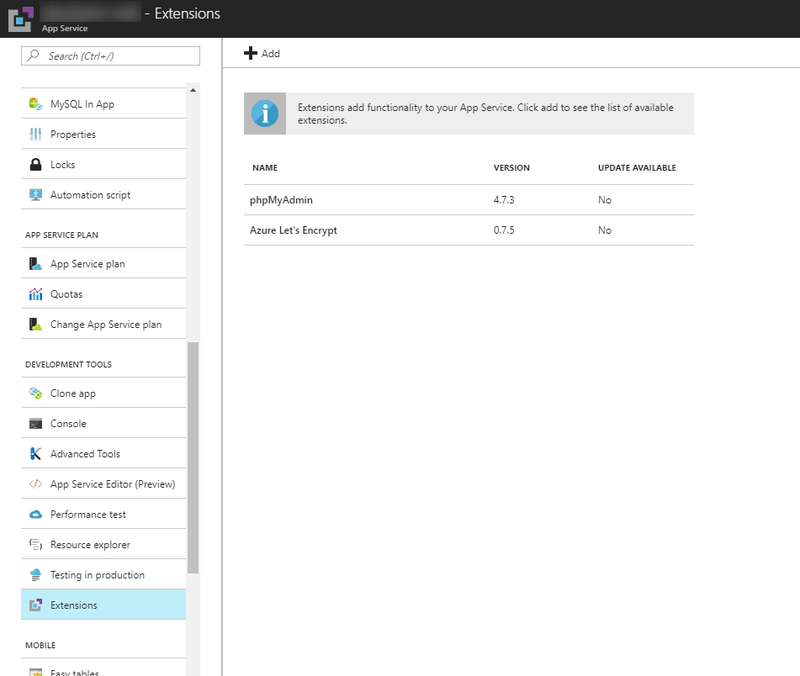 Just navigate to the webapp and open the “app service editor”. 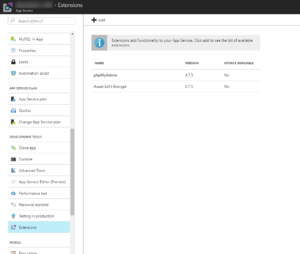 This will allow you to directly modify it (which should not be done at the production environment). Thanks Armin for detailed article. 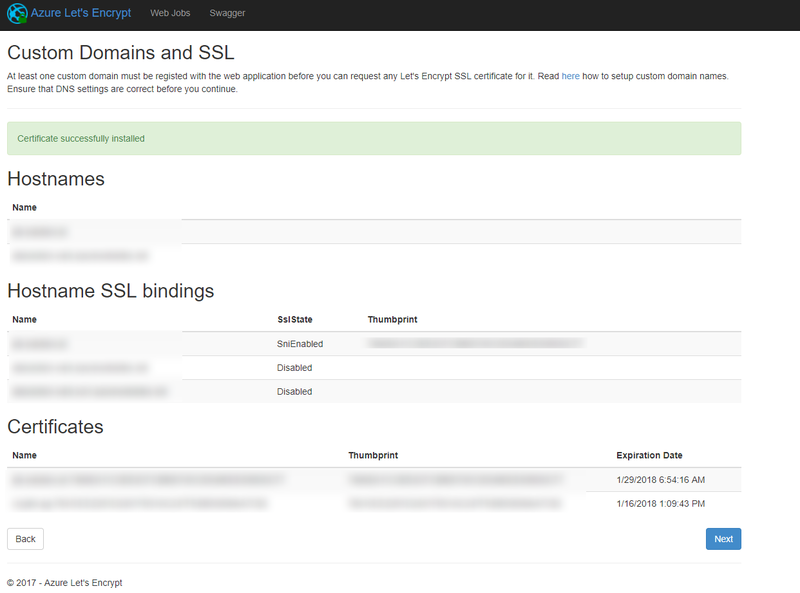 Followed and enabled a free SSL certificate on my site. 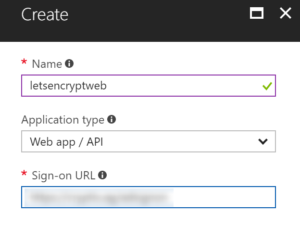 Do you know if Azure Let’s Encrypt extension supports wildcard certs?